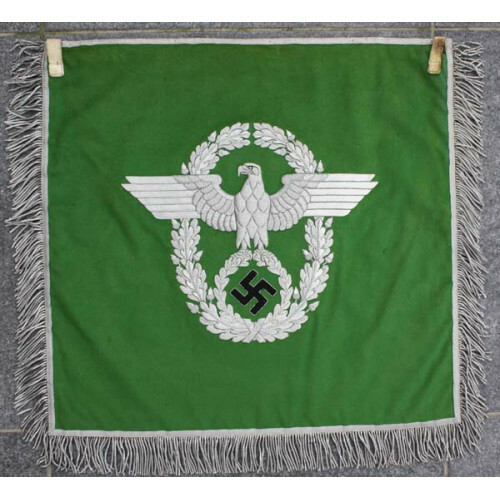 A1019.Trumpet Banner "Schütz Polizei München". 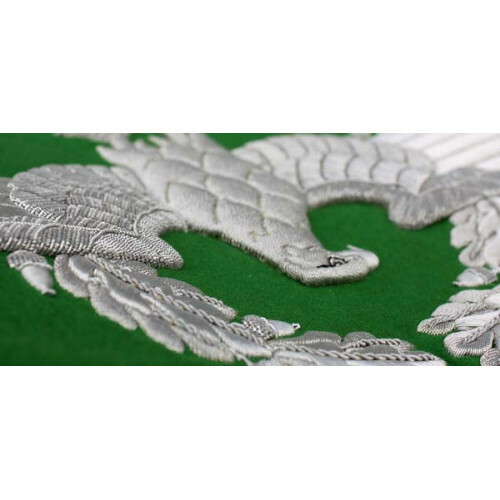 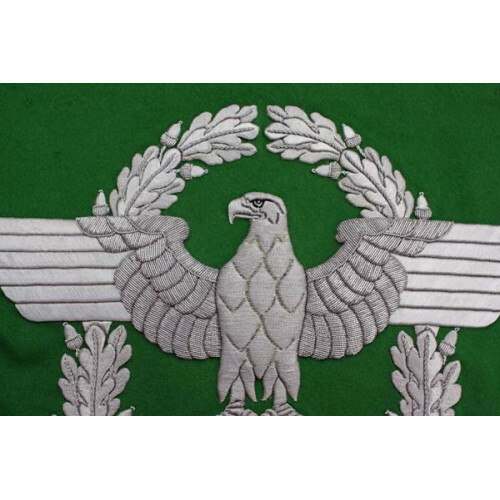 Fantastic Embroidered Banner. 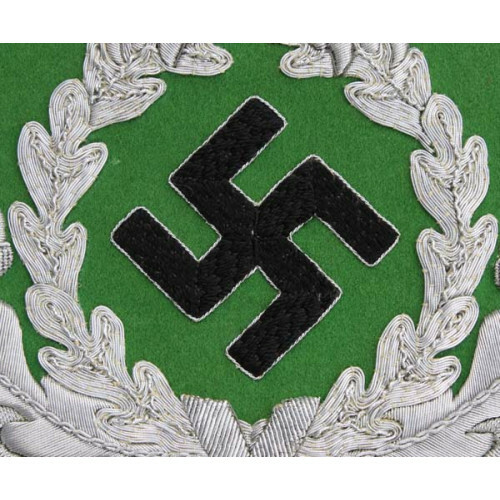 Size 45x45 cm (18") . 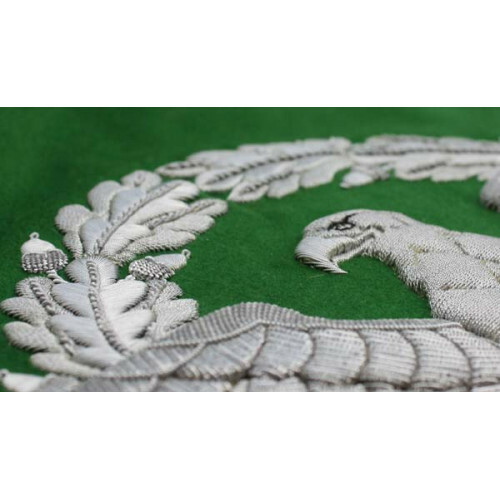 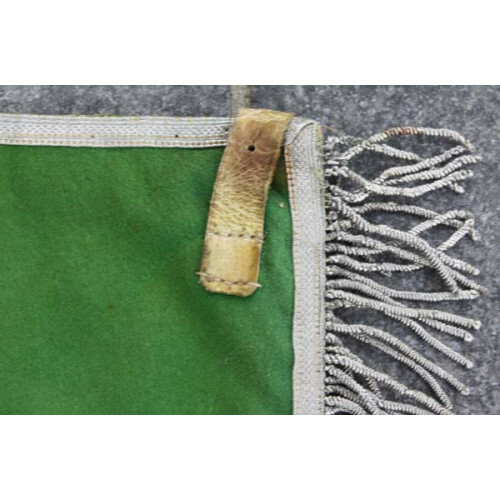 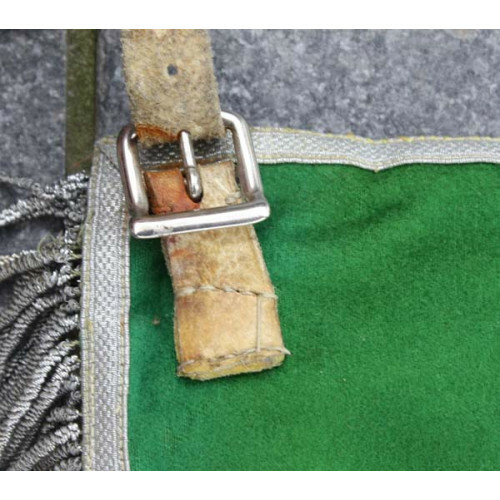 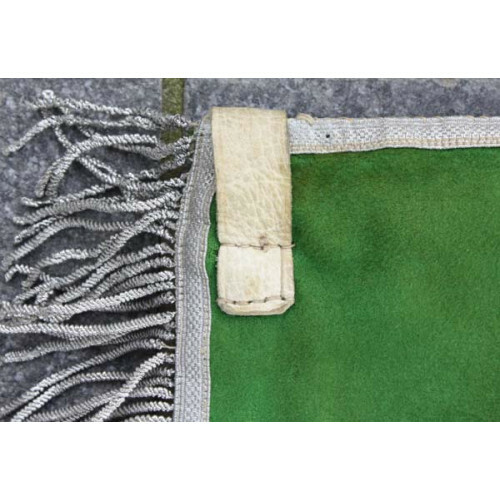 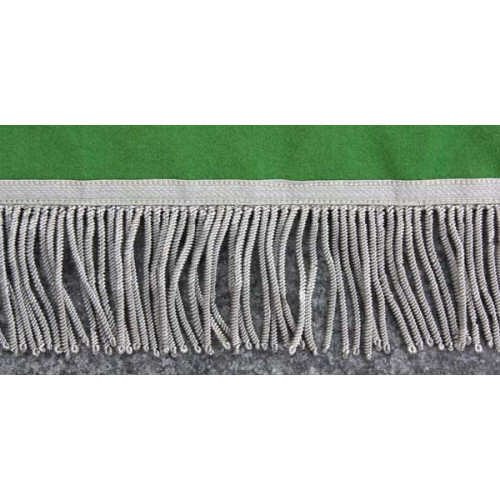 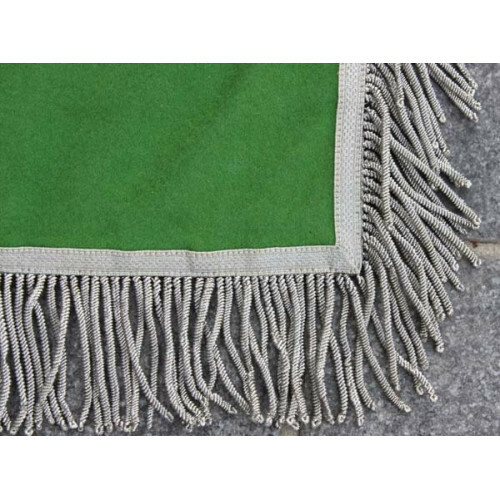 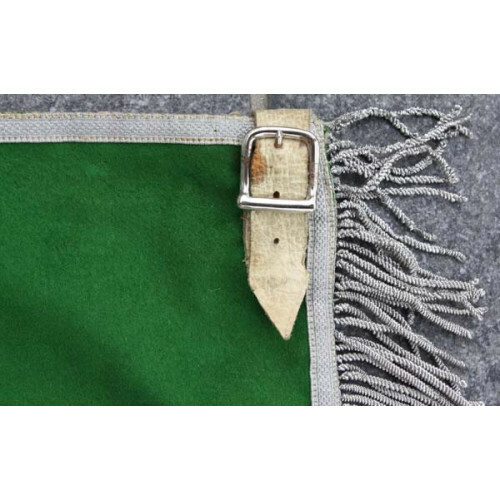 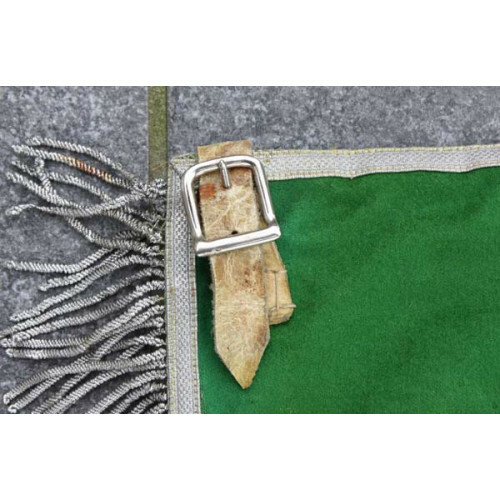 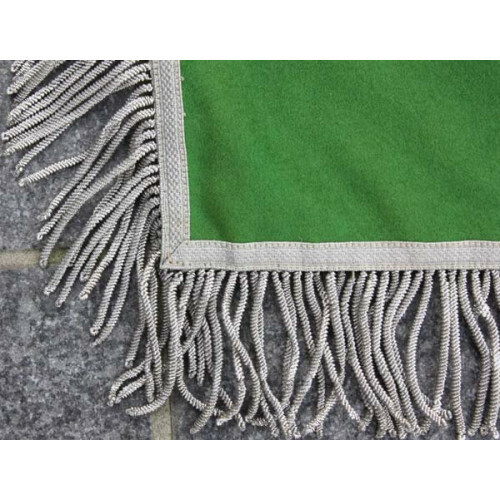 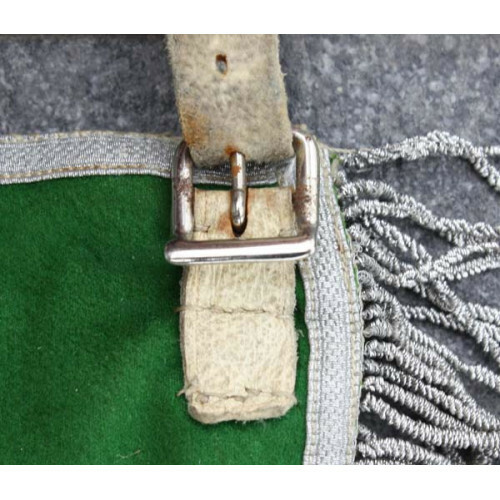 The Banner is produced in Green Wool, minor wear and discoloration troughout,, minor moth Nips on both Sides, the Fringe is intact and no Strands are missing. 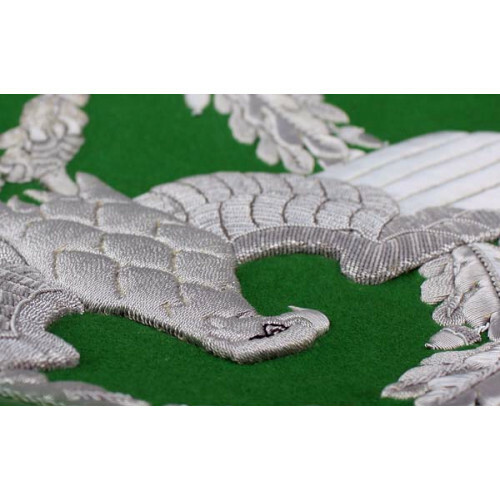 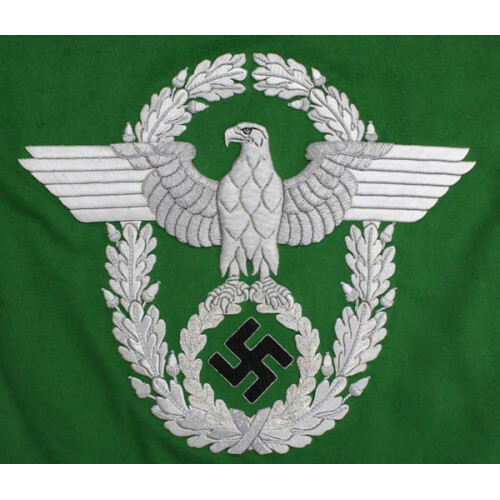 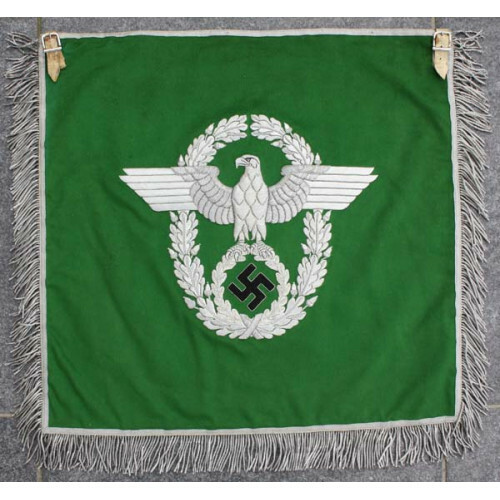 White Leather Tongs, the Eagles are produced in Silver Bullion with Black Cloth Swastikas. 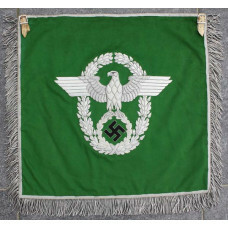 Product Code: Trumpet Banner Schützpolizei.